Three classic comedies are coming to Blu-ray exclusively at Best Buy this September! In an early announcement to retailers, Paramount is readying 'The Naked Gun,' 'Airplane!,' and 'Planes, Trains, and Automobiles' for Blu-ray on September 25. Both 'The Naked Gun' and 'Airplane!' feature the legendary comic genius Leslie Nielson while John Hughes' hit comedy 'Planes, Trains, and Automobiles' stars Steve Martin and John Candy. Specs, supplements, and suggested list price are still unknown but each Blu-ray will be sold exclusively at Best Buy stores. 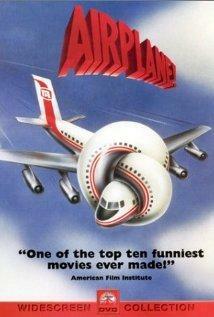 You can find the latest specs for 'The Naked Gun,' 'Airplane!' & 'Planes, Trains, and Automobiles' linked from our Blu-ray Release Schedule, where they're indexed under September 25.